Gerald Lewis Harn was born on 9 October 1929 at Faribault, Rice Co., Minnesota. He was the son of Oscar Cecil Harn and Delta Ann Perkins. 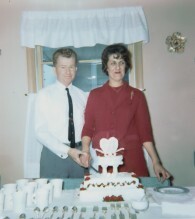 Gerald Lewis Harn married Mary Lou McCarthy, daughter of William Charles McCarthy and Katherine Rose Sklenar, on 15 April 1955 at Faribault, Rice Co., Minnesota. Gerald Lewis Harn died on 10 July 1959 at French Lake, Faribault, Rice Co., Minnesota, at age 29.1 He was buried on 13 July 1959 at Calvary Cemetery, Faribault, Rice Co., Minnesota. Gerald Lewis Harn was a Cabinet Maker. Gerald Lewis Harn also went by the name of Jerry. He graduated on 2 June 1950 at Faribault High School, Faribault, Rice Co., Minnesota. He began military service on 8 January 1951. His Ancestral File Number is 1V1V-ZNM. Gerald Lewis Harn was a Converted from Methodist to Catholic. He ended military service on 16 May 1956. His Social Security Number was 470-30-7408.2 He lived in June 1959 at 324 NW 7th Ave., Faribault, Rice Co., Minnesota.2 The cause of death was 12-ga shotgun wound of head caused death instantly.2 Jerry was born at the Cedar Lake Farm, outside of Faribault. He lived in Faribault in 1941, when his father died. Jerry enlisted in the U.S. Army Ready Reserves on 08 Jan 1951 and 08 Jan 1954. Jerry received an Honorable Discharge on 07 May 1954 and 16 May 1956 as an SP3 (Specialist 3rd Class), number ER1-731-2313. Jerry was making about 5000-6000 dollars a year as a cabinet maker in the 1950's. He had been brought up a Methodist, and then converted to Catholic when he married Mary Lou. He enjoyed hunting, trapping and working on old cars. Record Number: 1406610. Hereinafter cited as Death Cert Gerald Harn. [S1666] Gerald Lewis Harn, Death Cert Gerald Harn. Mary Lou McCarthy was born on 30 April 1935 at Faribault, Rice Co., Minnesota.1 She was the daughter of William Charles McCarthy and Katherine Rose Sklenar. Mary Lou McCarthy married Gerald Lewis Harn, son of Oscar Cecil Harn and Delta Ann Perkins, on 15 April 1955 at Faribault, Rice Co., Minnesota. Mary Lou McCarthy married Harold Warren Redman, son of James Roby Redman and Ruby Fellows, on 17 January 1964 at Owatonna, Steele Co., Minnesota.2 Mary Lou McCarthy died on 17 June 1982 at Minneapolis, Hennepin Co., Minnesota, at age 47.3 She was buried on 21 June 1982 at Calvary Cemetery, Faribault, Rice Co., Minnesota. She received First Holy Communion on 14 May 1944 at Immaculate Conception Catholic Church, Faribault, Rice Co., Minnesota. Mary Lou McCarthy was a housewife. Her Ancestral File Number is 1V1V-ZPT. As of 1955,her married name was Mary Lou Harn. Her married name was Mary Lou Redman. She was employed by Genova in 1981 at Genova, Faribault, Rice Co., Minnesota. The cause of death was Abdominal Carcinomatous, Recurrent Carcinoma of Colon. Mary Lou McCarthy was a Catholic. Her Social Security Number was 476-32-6599 issued in Minnesota. Mary Lou was born at 6:03 am. Mary Lou received about 9 years of schooling. When younger, she had done numerous jobs in Faribault, factory work, waitressing, and field work. With wages as a waitress from 50 to 75 cents an hours. Doing factory work, she was getting $1.25 an hour. Mary Lou considered herself a Democrat. She enjoyed reading, fishing and dancing. Growing up, she recalled the lean times, the rationing. How her father was strict, and that her parents did not have a car. On 07 Jan 1970, Mary Lou adopted the two daughters of Harold W. Redman: Connie Jane Redman and Jody Ann Redman, and Harold adopted Mary Lou's son Steve. The Minnesota Driver's License at the time of her death in 1982, said her eyes were hazel, was 5' 8" tall and weighed 124 pounds. [S1784] Mary Lou McCarthy entry, birth n/a, (Issued 02 Jul 1974) (03 May 1935), unknown repository, unknown repository address. [S1786] Mary Lou McCarthy, death n/a (29 Jun 1982), Steven Harn Redman, 2633 N. 1600 E., Layton, Davis Co., UT. Hereinafter cited as Death Cert - Mary Lou Redman. Oscar Cecil Harn residence, Section 27, 110 Range, Rice Co., Minnesota. 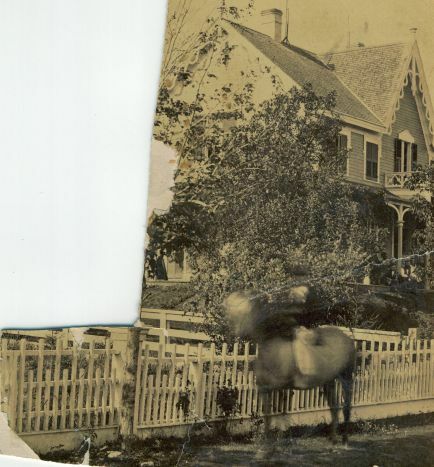 Oscar C. Harn on horse in front of his house in Faribault, Minnesota. View looking down from Oscar C. Harn's home in Faribault, Minnesota. The present (2005) Faribault Public Libarary was built about where tree is on right side of picture. Oscar Cecil Harn was a farmer. County land ownership map shows Oscar owning 80 acres East of Mud Lake and 104.10 acres on Western shore of Cedar Lake. He lived in 1915 at Shieldsville, Rice Co., Minnesota.3 County land ownership map shows Oscar owning 80 acres East of Mud Lake and 104.10 acres on Western shore of Cedar Lake. He lived at Section 27, 110 Range, Rice Co., Minnesota. The cause of death was Cerebral Hemorrhage, with duration of 2-days. Oscar Cecil Harn was a Atheist. Following from The Faribault Daily News newspaper of 27 June 1941 Friday, page 10, column 7. Oscar Harn, 82 years old, passed away at the St. Lucas hospital at 6:40 a.m. this morning following a stroke. Funeral services will be held at the McCarthy Funeral Home at 2:30 Saturday, June 28, with the Reverend Walter Merzdorf officiating. The casket will be unveiled at the funeral home this evening. Burial will take place at Oak Ridge cemetery. Mr. Harn is survived by his widow, two daughters, Mrs. Donald Spilman of St. Paul (Doris), Mrs. Charles Swanke of Duluth (Betty), and three sons, David, William and Gerald, all of Faribault Mr. Harn was born in Minneapolis in 1858 and has been a resident of Rice county since 1869. Until he was 21 he worked as a book-keeper for his father at the Harn and Snyder Milling Co., after which he farmed at Cedar Lake until five years ago when he purchased a small home a French Lake where he lived until the present time. Following from The Faribault Daily News newspaper of 02 July 1941, Wednesday. Funeral services for Oscar Harn, 82 years old, who passed away at the St. Lucas hospital on Friday, June 27, following a stroke were held Saturday, June 28, at the McCarthy Funeral Home at 2:30 with the Rev. Walter Merzdorf officiating. Pallbearers were G.E. Carlson and Louis Van Duesen of Red Wing, Joseph Dudley, John Sweeney, Charles Kalien and Bert Lambert, all of Faribault. Burial took place at the family lot in Oak Ridge cemetery. Mr. Harn is survived by his widow, two daughters, Mrs. Donald Spilman of St. Paul (Doris), Mrs. Charles Swanke of Duluth (Betty), three sons, David, William and Gerald, all of Faribault, a grand-daughter, Jean Marie Spilman of St. Paul, a brother, Harry R. of Chicago, and two sisters, Mrs. John Sells (Annie) of Lompoc, Calif., and Miss Mary Harn of San Diego, Cal. Out of town friends who attended the funeral were Mr. and Mrs. Charles Eisert, and Mr. and Mrs. John Nelson of Morristown, Mr. and Mr. Louis Van Duessen, G.E. Carlson, Mrs. 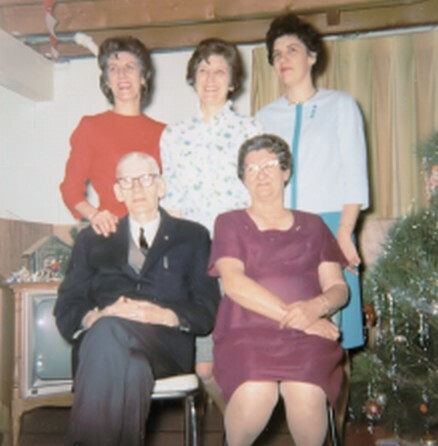 Guy Thoen, Mrs. Joseph Yungers, Mrs. Arthur Burne, all of Red Wing, Mrs. Charles Swanke of Duluth, Mrs. Donald Spilman and baby, Jean Marie, of St. Paul. 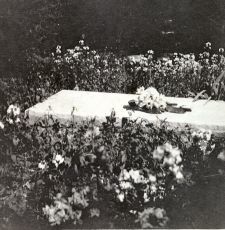 Oscar's tombstone was a large slab of concrete with the dates of 1858-1941. Census 1900 E.D. 161, sheet 7, Shieldsville Twsp., Rice Co., Minnesota, In 1900 Census, Oscar listed as born April 1858 in Minnesota. [S2] Unknown article title, OBITUARY: Faribault Daily News, 2Jul1941, Wednesday, Faribault, Minnesota, 02 Jul 1941. Hereinafter cited as FDN. Ancestry.com. U.S. City Directories, 1821-1989 (Beta) database on-line. Provo, UT, USA: Ancestry.com Operations, Inc., 2011. Original data: Original sources vary according to directory. The title of the specific directory being viewed is listed at the top of the image viewer page. Check the directory title page image for full title and publication information.. Hereinafter cited as U.S. City Directories, 1821-1989 (Beta). 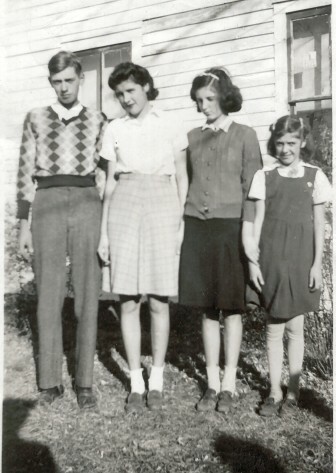 Photo of Doris Perkins age 6, Larry Perkins age 5, and Delta Perkins age 7. 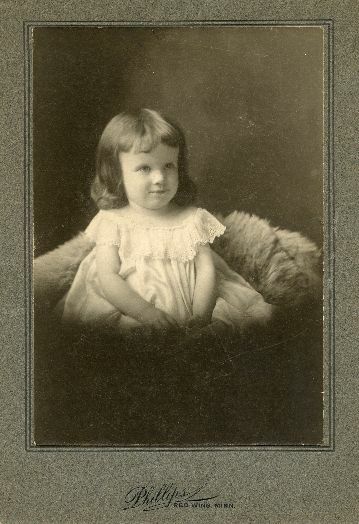 Delta Ann Perkins was born on 12 July 1899 at Featherstone Twsp., Goodhue Co., Minnesota.1 She was the daughter of Marshall Timothy Perkins and Anna Rolfe Purdy. Delta Ann Perkins married Oscar Cecil Harn, son of Calvin Davis Harn and Rachel Ruple (Rupel), on 19 February 1919. Delta Ann Perkins married Frederick Kalien, son of Herman Kalien and Wilhelmina Marcolas, on 20 February 1942 at Mankato, Blue Earth Co., Minnesota.2 Delta Ann Perkins died on 9 July 1980 at Rochester, Olmsted Co., Minnesota, at age 80. She was buried on 11 July 1980 at Meadow Ridge Cemetery, Faribault, Rice Co., Minnesota. Delta Ann Perkins was a housewife. As of 19 February 1919,her married name was Harn. As of 20 February 1942,her married name was Kalien. Her Social Security Number was 469-30-2301 issued in MN before 1951. SSN Death Index lists birth as 12Jul1899 and death as Jul1980. Delta Ann Perkins was a converted from Episcopal to Methodist. Delta received about 9 years of schooling. Over the years, she lived in Red Wing, then Cedar Lake (near Faribault), then French Lake (near Faribault), then Faribault. She was an Episcopalian when young, and later converted to Methodist. She liked to read, crochet rugs, gardening, canning and baking. [S3] Delta Ann Perkins entry, birth, Goodhue County Courthouse, Red Wing, Goodhue Co., Minnesota. William Charles McCarthy was a Mechanic. He received First Holy Communion on 1 November 1909 at Immaculate Conception Chr., Faribault, Rice Co., Minnesota. He lived bt 1926-1929 at 121 Frink Ave., Faribault, Rice Co., Minnesota. He lived in 1936 at 416 NW 2nd St., Faribault, Rice Co., Minnesota. He lived bt 1945-1950 at 111 SW Prairie Ave., Faribault, Rice Co., Minnesota. He lived in 1953 at 223 N. Central Ave., Faribault, Rice Co., Minnesota. He lived bt 1955-1967 at 728 NW 5th St., Faribault, Rice Co., Minnesota. The cause of death was Arteriosclerotic Heart Disease. 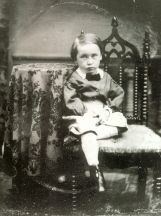 William Charles McCarthy also went by the name of Bill. William Charles McCarthy was a Catholic. His Social Security Number was 470-10-5302 issued in Minnesota. Bill was born in a house with an attending midwife in Faribault, MN. Bill received about 8 years of schooling. He lived in Faribault all of his life. Bill worked with Nutting Truck Factory in Faribault, from about 1919 to 1964. He enjoyed walking, reading and drinking beer. [S6] William Charles McCarthy, unknown file number, Social Security Death Index (b- 19Feb1896 d- Jul1968), unknown series (n.p. : n.pub.). Hereinafter cited as SSDI. [S4] William Charles McCarthy entry, birth, Rice County Courthouse, Faribault, Rice Co., Minnesota. 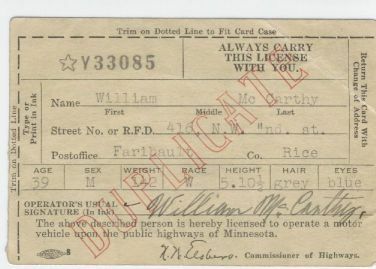 [S5] William Charles McCarthy entry, SOURCE: Death Certificate, Rice County Courthouse, Faribault, Rice Co., Minnesota. Katherine Rose Sklenar was born circa April 1895 at Montgomery, Le Sueur Co., Minnesota.1 She was the daughter of Thomas Sklenar and Ann Nestaval. Katherine Rose Sklenar married William Charles McCarthy, son of Jeremiah McCarthy and Mary C. McGinnis, on 14 April 1925 at Faribault, Rice Co., Minnesota. Katherine Rose Sklenar married Alfred Rasmussen, son of Louie Rasmussen and Anna Peterson, on 25 August 1971 at Faribault, Rice Co., Minnesota.2 Katherine Rose Sklenar and Edward Ebert Peterson were unmarried partners circa 1975 at Faribault, Rice Co., Minnesota. Katherine Rose Sklenar died on 29 May 1992 at Faribault, Rice Co., Minnesota. She was buried on 2 June 1992 at Calvary Cemetery, Faribault, Rice Co., Minnesota. In 1921 Katherine Rose Sklenar was a laundress. As of 14 April 1925,her married name was McCarthy. Katherine Rose Sklenar was a Housewife. 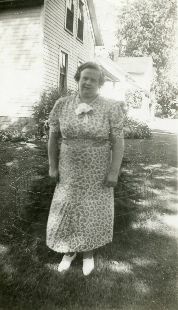 She lived in 1936 at 416 NW 2nd St., Faribault, Rice Co., Minnesota. She lived bt 1945-1950 at 111 SW Prairie Ave., Faribault, Rice Co., Minnesota. She lived in 1953 at 223 N. Central Ave., Faribault, Rice Co., Minnesota. Her Social Security Number was 473288000. She lived bt 1955-1967 at 728 NW 5th St., Faribault, Rice Co., Minnesota. As of 25 August 1971,her married name was Rasmussen. 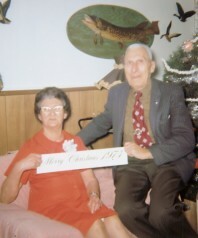 Katherine Rasmussen and Ed Peterson enjoyed going to dances and taking numerous road trips. The cause of death was a Stroke. Communion record said born in 1895. Katherine Rose Sklenar was a Catholic. Never told birthday, so picked 21 Sep 1895. Katherine worked as a Housekeeper at the State School in Faribault, from 1918 to 1925. From about 1950 to 1954, she worked as a Housekeeper at St. Mary's in Faribault. Katherine enjoyed dancing all of her life. She remembered going to dances till 1 am and then getting up for work at 6 am. While growing up, she spent most of her time with her Grandma Nestaval. Katherine only received about 5-years of schooling. [S7] Katherine Rose Sklenar, unknown record type, Montgomery, Le Sueur Co., Minnesota, unknown record info, unknown repository unknown repository address. Calvin Davis Harn Family in Minnesota. Left to right males: Calvin Davis Harn, Harry Harn (high chair), Herb Harn, Oscar Cecil Harn. Right to left females: Rachel Harn, Maggie Harn, Mary Harn, Annie Harn. Spokane, WA, 1889: R. L. Polk & Co., 1888. Spokane, WA, 1890: R. L. Polk & Co., 1889. History of Rice County, published in 1882, by Charles S. Bryant, provides a list of old settlers into Rice County, by the Old Settlers Association. C.D. Harn recorded as arriving in 1856. The Hennepin Co., MN Deed Index, Book 25, page 416, states that on 08Nov1869, Calvin D. Harn was the grantor of land on Lot 8 in Block "R". History of Rice County, published in 1882, by Charles S. Bryant, states that Hon. 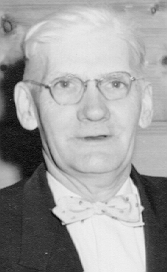 George W. Tower was elected the first mayor of Faribault, and C.D. Harn was elected as alderman. With inauguration being on 09 Apr 1872. In 1874, G.F. Batchelder sold his handsome house and grounds, embracing 5 lots to C.D. Harn, of the firm Harn and Synder, for about $7000. .
C.D. 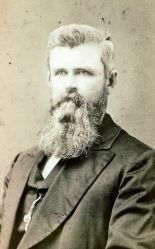 Harn in 1876, was the President of the Taopi Flouring Mill Company. Messers C.D. Harn and Hiram Snider own half the stock in the Taopi Mill; they also are owners of the Faribault Mills. The steam flouring mill in Taopi, has a capacity to grind 300,000 bushels per year. Taopi is in Mower Co, MN. . Following the James and Younger brother's attack on the Northfield Bank in 1876, C.D. Harn was with a party of men from Faribault, that discovered two of the horses belonging the robbers. Five saddles were also discovered. . In 1877, the Diamond Flour Mill at Taopi, Mower County, was dismantled and moved to Janesville and re-assembled. It was operated by Harn, Snyder & Co. for about two years, when the firm failed and the buildings stood idle for about three years. .
C.D. Harn purchased 501 acres of land in 1880, lying west of Cedar Lake, in Shieldsville township, and extending to Mud Lake, on the west. It is his intention to enter extensively into sheep and cattle farming. The land is all wild and includes some very fine timber land and a good deal of excellent pasturage. .
Left wife and family in Minnesota around 1880, and moved west to Washington. In 1892, C.D. Harn was elected as a councilman in Spokane, Washington. .
 Faribault Republican Newspaper pg 3, col 1, 13May1874. Faribault Republican Newspaper pg 3, col 5-7, 13Sep1876. The History of Janesville 1856-1956 Centennial. Faribault Republican Newspaper pg 3, col 2, 12May1880. History of Spokane County, WA, 1900, pg 89. Census 1 May 1875 Faribault, Rice Co., Minnesota, pg 225. Census 14 June 1900 Spokane, Spokane Co., Washington, lists as born Dec 1830 in Maryland, 69 years old at last birthday, lists married 48 years, occupation of a millwright. [S8] Ellen Dorcas Harn, "E.B. Harn Sheets, FHL film 1036595, # 140,144,145", Feb 1977 (18921 Knapp St., Northridge, CA 91324). Hereinafter cited as "E.B. Harn Family Group Sheets." [S2390] Berrien Co., Michigan Marriages 1822-1940: Ancestry.com. Michigan, County Marriages, 1822-1940 (database on-line). Lehi, UT, USA: Ancestry.com Operations, Inc., 2016. Original data: Marriage Records. Michigan Marriages. FamilySearch, Salt Lake City, UT., unknown repository, unknown repository address. Hereinafter cited as Berrien Co., Michigan Marriages. [S1645] Brief Mention, The Morning Oregonian, Oregon, 26 May 1887, 8. Hereinafter cited as The Morning Oregonian. [S1778] Marriage Cert - C.D. Harn and Elizabeth Ingraham, unknown repository, unknown repository address. Hereinafter cited as Marriage Cert - C.D. Harn and Elizabeth Ingraham. Ancestry.com. U.S. City Directories, 1821-1989 (Beta) (database on-line). Provo, UT, USA: Ancestry.com Operations, Inc., 2011. Rachel Ruple (Rupel) was born on 1 May 1836 at South Bend, St. Joseph Co., Indiana. She was the daughter of Jacob Rupel and Catherine Griffith. Rachel Ruple (Rupel) married Calvin Davis Harn, son of Elisha Lemuel Harn and Keziah Griswell, on 25 October 1856 at Niles, Berrien Co., Michigan.1,2 Rachel Ruple (Rupel) and Calvin Davis Harn were divorced on 25 May 1887 at Portland, Multnomah Co., Oregon.3 Rachel Harn died on 9 January 1906 at Shieldsville, Rice Co., Minnesota, at age 69.4,5 She was buried circa 1906 at Oak Ridge Cemetery, Faribault, Rice Co., Minnesota; Find A Grave Memorial# 84233218. Her married name was Harn. Rachel Ruple (Rupel) was a Keeping-house. The 1900 Census has Rachel born Mar 1836, and married 44-years. Death Record lists name as "Rachel Ruple Harn", divorced. The cause of death was Neuralgia of Heart. In Harn Family Bible, Rachel's lastname listed as Rupel. Grave lists Rachel Rupel Harn 1836-1906. Death Record has parents as Jacob Ruple and C. Griffith of PA.
Census 28 July 1870 Faribault, Rice Co., Minnesota, page 519. Census June 1900 Shieldsville Twsp., Rice Co., Minnesota, E.D. 161, sheet 7. [S10] Rachel Ruple (Rupel) entry, SOURCE: Death records, Rice Co , MN, Book A, pg 271, line 2, Rice County Courthouse, Faribault, Rice Co., Minnesota. 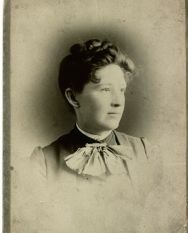 [S1667] Rachel Ruple (Rupel), death 1906-MN-48-509, unknown repository, unknown repository address. 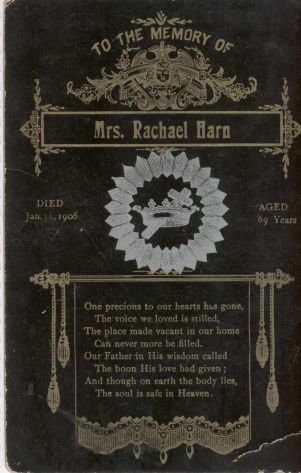 Hereinafter cited as Death Cert Rachel Harn. 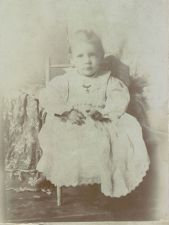 Tintype photo of Marshall T. Perkins, unknown name of boy. Four Perkins Brothers taken 26 Jun 1922. Left to right: Burton (? ), Elmer, Marshall, Frank. Marshall Timothy Perkins was born on 28 November 1862 at Featherstone Twsp., Goodhue Co., Minnesota.1 He was the son of Hartson Ellsworth Perkins and Violet P. Ellsworth. Marshall Timothy Perkins was born circa 1872 at Red Wing, Goodhue Co., Minnesota.2 He married Anna Rolfe Purdy, daughter of David Willets Purdy and Frances Mary Rolfe, on 17 March 1884 at Red Wing, Goodhue Co., Minnesota.3 Marshall Timothy Perkins married Lulu M. Harn, daughter of Elisha Lemuel Harn Jr. and Zilpha St. John, circa 27 August 1908 at Ellsworth, Pierce Co., Wisconsin. Marshall Timothy Perkins died on 10 December 1939 at Red Wing, Goodhue Co., Minnesota, at age 77.4 He was buried on 13 December 1939 at Oakwood Cemetery, Red Wing, Goodhue Co., Minnesota. Marshall Timothy Perkins was a a farmer and livery stable proprietor. The cause of death was Cerebral Apoplexy (stroke) for 1 1/2 years. CENSUS: 1870 MN, Goodhue Co., Featherstone, pg 145, as 7 years. CENSUS: 1875 MN, Goodhue Co., Featherstone, pg 287, as 12 years. CENSUS: 1885 MN, Goodhue Co., Featherstone, pg 203, as 22 years. CENSUS: 1895 MN, Goodhue Co., Red Wing 1st Ward, sheet 474. CENSUS: 1920 MN, Goodhue Co., Vol 19, E.D. 52, sheet 8, line 46. History of Dakota and Goodhue Counties, MN, Vol II, 1910, pg 707-708. Marshall T. Perkins, Red Wing liveryman, was born in Featherstone township November 28, 1862. His parents H. and Violet E. (Ellsworth)Perkins, came from Maine, their native state, in the late 1850's, and purchased a farm in Featherstone, where Hartson carried on farming extensively until some time in the 1870's. He then came to Red Wing, became interested to a greater or less extent in several business ventures, and died in July, 1899. His wife now makes her home in Boston, Mass. Marshall T. received his education in the schools of his neighborhood, and kept books for his father two years after leaving school. He then for ten years engaged in farming in Featherstone township, on his own account. Following this he made his first venture in the livery business, running a livery and sale stable at Red Wing for three years. He then again returned to Featherstone and farmed five years. In 1906 he opened his present livery at 319 Plum street, which he has since successfully conducted, being a good judge of horse flesh and a fair-minded business man. He is a Republican in politics, and while at Featherstone served as constable and justice of the peace on several occasions . Mr. Perkins was married March 17, 1884, at Red Wing, to Anna R. Purdy, daughter of David and Mary Frances (Rolfe) Purdy, natives of New Yorkstate. 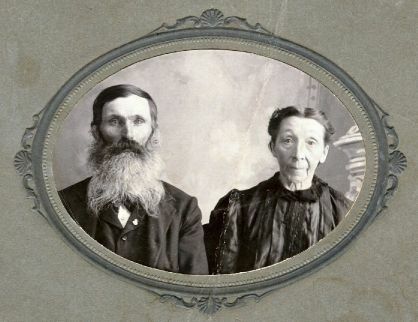 They came to America in 1864, and located on a farm in Goodhue township, where they remained for some time, after which they retired and moved to Red Wing, where the mother died. The father is also deceased. 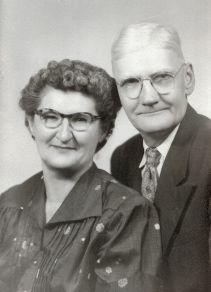 To Marshall T. and Anna R. Perkins were born nine children: Edward W.,Nina C., Edna E., Frances V., Ada A., Marjorie C., Delta, Doris and Lawrence. Frances V. is a milliner at St. Paul. The rest live in Red Wing, the four youngest being at home. The other of these children died at Red Wing May 13, 1903, and Mr. Perkins was married again, at Red Wing, August 27, 1908, to Lulu M. Harn, of this city. Following from the book, RED WING, MINNESOTA, Saga of a River Town, by Madeline Angell, published by Dillon Press of Minneapolis, MN, pg 267-268. "Public transportation within the city was first provided by horse-drawn hacks owned by Marsh Perkins and Albin Almquist. In 1916 John, Carl, Ed, and Herman Dahl started the first full taxi service in Red Wing. They opened an office in a garage in the 200 block of Main Street, starting with four Ford cars. 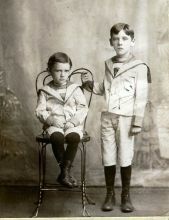 The brothers operated a twenty-four hour service, sleeping two at a time in the office. They met all trains stopping in Red Wing. Six months after they started their taxicab service, Marsh Perkins and Albin Almquist were out of business". Following from the Red Wing Daily Republican Newspaper, page 1, column 2, 11Dec1939 (Monday). M.T. Perkins, widely known in the community and proprietor of a livery stable business here for many years, passed away at a local hospital Sunday afternoon about 1:30 o'clock. The end was not unexpected. Mr. Perkins had been in poor health for a long time and had been confined to the hospital since July 3, 1938. He was born in Featherstone on November 28, 1862, and lived in that township until he was about 35 years of age, when he removed to Red Wing where he had since resided. When Mr. Perkins first came to Red Wing from the farm, the family occupied the old A.P. Pierce home and later the residence of Governor L.F. Hubbard, now occupied by the St. John's hospital offices. He often referred to this place as the "old mansion with the $10,000 slate roof." It was in 1896 that Mr. Perkins and his brother, Alfred, established a livery and boarding stable on Third street in the stone building across from the office of The Daily Republican. At one time during his business career Mr. Perkins operated two liveries, one on Plum street and the other in partnership with A.C. Almquist. Mr. Perkins was gifted with an unusually fine voice. In his younger days he was soloist in the choir of the First Methodist church and was a member of the Perkins Brothers quartet, which won considerable attention. He also appeared in many local amateur productions. He took over the old St. James livery, operating it for many years, later going into the transfer business which he conducted until failing health forced him to retire a number of years ago. He held the contract for carrying mail from the post office here to Hager City, Wis., over an extended period. Mr. Perkins was a great lover of horses and possessed several valuable animals at one time. Of a congenial nature he made friends with all whom he met and enjoyed the acquaintance of a majority of residents of the city and the nearby community. Following from the Red Wing Daily Republican Newspaper, page 5 column 1,12Dec1939 (Tuesday). Funeral services for M.T. Perkins, who was in the livery stable and transfer business in this city for many years, will be held tomorrow afternoon at 2:00 o'clock at the Ferrin Mortuary chapel with Dr. J.W. Lillico officiating. Perkins died Sunday following a lingering illness. [S11] Paul Bradley Purdy, A branch of the Purdy family descending from David and Eliza Ann Purdy with David's line from Francis Purdy of Fairfield 1595-1658 (n.p. : n.pub., c1962). Hereinafter cited as The David Purdy Family. [S13] SOURCE: Marriage Records, Goodhue Co , MN, Vol 9, page 338, Goodhue County Courthouse, Red Wing, Goodhue Co., Minnesota. [S12] Marshall Timothy Perkins entry, SOURCE: Goodhue Co , MN Death Records, book 7, page 94, line 218, Goodhue County Courthouse, Red Wing, Goodhue Co., Minnesota. Her married name was Perkins. Anna Rolfe Purdy was a Housewife. Research in June 1996, did not locate Anna's death in Goodhue Co. Death Records. Following from the Red Wing Daily Republican newspaper, page 3 column 3, 13Nov1903 (Thursday), and 14Nov1903 page 3 column 3. Mrs. Marshall T. Perkins, who has suffered for a long time from Bright's disease and whose death has been momentarily expected for several days, passed away at 12 o'clock last night. The deceased, whose maiden name was Anna Purdy, and who was the daughter of the late David Purdy, was born and raised in Goodhue. She was 38 years of age and leaves a husband and nine children. The funeral will take place at 10 o'clock to-morrow morning at the residence on Main street, Rev. C.C. Rollit officiating. Internment will be in the Featherstone cemetery. The pallbearers were Tim Tripp, C. Bryan, Charles R. Crandall, A.B. Crandall, Charles Perkins and Charles Brown. Census 1885 Featherstone, Goodhue Co., Minnesota, sheet 203, as 20 years. Census 1895 1st Ward, sheet 474, Red Wing, Goodhue Co., Minnesota, She was 30-yrs old in 1895 Census. [S15] Unknown article title, OBITUARY: Red Wing Daily Republican, 13Nov1903, 3:3, Red Wing, Minnesota, 13 Nov 1903, 3. Hereinafter cited as RWDR. [S17] Anna Rolfe Purdy cemetery marker; unknown reader. [S16] Unknown article title, OBITUARY: Red Wing Daily Republican, 14Nov1903, 3:3, Red Wing, Minnesota, 14 Nov 1903, 3. Hereinafter cited as RWDR. Jeremiah McCarthy was a house-painter. Jeremiah McCarthy also went by the name of Jerry. Jeremiah McCarthy was a Catholic. The following obituary is from Faribault Daily News, 07Feb1927, pg 8, col 6. Jeremiah McCarthy, a native and resident of Faribault for 59 years, died Sunday afternoon at the St. Lucas hospital where he had been seriously ill for some time. His home is at 1421 Fourth street Northwest. Mr. McCarthy was a painter by trade and had carried out his occupation practically all his life. He was born in Faribault 59 years ago and had lived here since. Surviving Mr. McCarthy are his wife and three sons, John, Will and Frank. A sister also survives him. Funeral services will be conducted Tuesday morning at 9:00 o'clock at the Immaculate Conception church, with Father Ryan officiating. Census 1870 Faribault, Rice Co., Minnesota, page 390, age 3. Census 1885 Faribault, Rice Co., Minnesota, listed as 17 years old. [S19] Jeremiah McCarthy entry, SOURCE: Rice Co , MN Death Certificate, # 12261, Rice County Courthouse, Faribault, Rice Co., Minnesota. [S18] SOURCE: Marriage Record, Rice Co , MN, Book H, page 137, Rice County Courthouse, Faribault, Rice Co., Minnesota. Mary C. McGinnis was a housewife. Her married name was McCarthy. 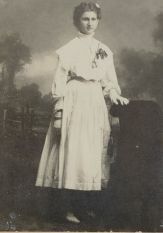 Mary C. McGinnis was also known as Mamie. The cause of death was aortic regurgitation, cardiac decompensation for duration of 3-weeks. Mary C. McGinnis was a Catholic. The following obituary is from Faribault Daily News, 09Mar1931, pg 1, col 7. Funeral services for Mrs. Jeremiah McCarthy, who died at the home of her son William McCarthy, 121 Frink Avenue, on Saturday morning, were held this morning form the Church of the Immaculate Conception at 9 o'clock. Burial was made in Calvary cemetery. The deceased was born in Faribault sixty years ago and had lived here throughout her life. She is survived by four sons, William, Frank, and James, all of Faribault, and John of Wisconsin. A brother and sister, William and Annie McGinnis of Minneapolis also survive. Census 1885 Faribault, Rice Co., Minnesota, listed as 14yrs old. Census 1875 Faribault, Rice Co., Minnesota, pg 131, as 4 years old. Census 1875 Shieldsville Twsp., Rice Co., Minnesota, pg 99, 4 years old. [S21] Letter from Helena (Helen) Minnie Mathilda (Velzke) McCarthy (unknown author address) to Steven Harn Redman, Aug 1990; Steven Harn Redman (2633 N. 1600 E., Layton, Davis Co., UT). [S22] Mary C. McGinnis entry, birth, Rice County Courthouse, Faribault, Rice Co., Minnesota. [S20] Unknown article title, OBITUARY: Faribault (MN) Daily News 09Mar1931, pg 1, col 7, Faribault, Minnesota, 09 Mar 1931, 1. Hereinafter cited as FDN. Tomas arrived in the US from Bohemia on 28 Apr 1877, at the age of 17. Thomas Sklenar was a worked in brewery prior to marriage, than farmer. The 1900 Census lists Thomas immigrating on 21Nov1879. After wife died, left children, and moved to Washington. [S23] Interview with Katherine Rose (Sklenar) Rasmussen (Faribault, Minnesota), by Steven Harn Redman. Steven Harn Redman (2633 N. 1600 E., Layton, Davis Co., UT). Ann Nestaval was born in May 1876 at Montgomery, Le Sueur Co., Minnesota.2 She was the daughter of Jacob Nestaval and Barbara Kardon. Ann Nestaval married Thomas Sklenar, son of Frank Sklenar and Katherine Hovet, on 12 February 1894 at Montgomery, Le Sueur Co., Minnesota. Ann Nestaval died on 2 May 1905 at Montgomery, Le Sueur Co., Minnesota.3 She was buried circa 1905 at Calvary Cemetery, Montgomery, Le Sueur Co., Minnesota. Her married name was Sklenar. Ann Nestaval was a housewife. Obituary notice. The cause of death was Tuberculosis. Heavy set and had back trouble. Ann Nestaval was a Catholic. 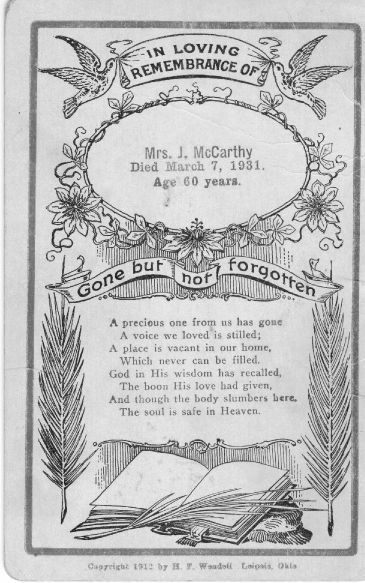 Following obituary from The Montgomery Messenger newspaper, 05May1905. Mrs. Thomas Sklenar died April 2, 1905 after a brief illness. She was about 29 years old. She leaves a husband and 4 small children Rev. Pozek officiating. Internment in the Catholic Cemetery. Census 1880 Montgomery, Le Sueur Co., Minnesota, listed as 5 years old. [S26] Ann Nestaval cemetery marker; unknown reader. [S27] B. Esther (Oviedo) Harn, "E.B. Harn Sheets, FHL film 1036595, # 130,140-142,144,145", Feb 1977 (18921 Knapp St., Northridge, CA 91324). Hereinafter cited as "E.B. Harn Family Group Sheets." 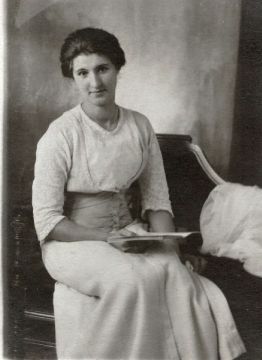 Keziah Griswell was a Housewife. Her married name was Harn. In 1860 and 1880 Census, her name is spelled "Kezia". [S28] B. Esther (Oviedo) Harn, "E.B. Harn Sheets, FHL film 1036595, # 130,140-142,144-145", Feb 1977 (18921 Knapp St., Northridge, CA 91324). Hereinafter cited as "E.B. Harn Sheets, FHL film 1036595." 1839 Administration of Jacob Rupel, Elkhart Co., wife Catherine appointed guardian of Rachel. Mary Rupel received $200 Oct 4, 1845, Isaih Rush and Sarah received share April 24, 1844, Jeremiah received share April 3, 1844, Levi Longley signed for Benjamin. Jereimah Rupel and Andrew, Mary Longley sued Sarah and Rachel for division of land in Baugo twps., Elkhart Co., Indiana. Catherine Griffith was a Housewife. Her married name was Rupel. Death of a Great Sufferer. Some weeks ago the Tribune contained an account of an accident which happened (to) the venerable Mrs. Rupel, mother of Mrs. Andrew Longley. She was a partial paralytic, and in getting up from the table fell and broke a hip bone. She suffered ever since with the fracture until 6 o'clock Friday night when she passed peacefully away to her long rest. The funeral occurred at Mr. Longley's residence on Sumption prarie(sic), Sunday afternoon, with Dunker services. 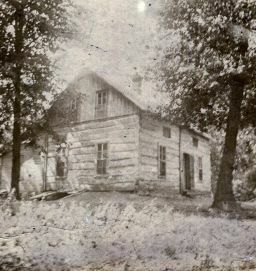 Mrs. Rupel was one of the earliest residents of Elkhart county, and eventually moved to Sumption prairie, where she made her home with her daughter. She was an active, energetic woman, until disabled by paralysis, and was at all times greatly esteemed by all who knew her..3 Census records give age as born between 1790-1802. Jim Coleman has Catherine born 1802 in PA or OH. [S30] South Bend Area Genealogical Society, St Joseph County, Indiana Cemetery Inscriptions, Vol 1 (Utica, Kentucky: McDowell Publications, c1992-1999). Hereinafter cited as St. Joseph Co., Indiana Cemetery Inscriptions, Vol 1. [S2251] Death of a Great Sufferer, South Bend Weekly Tribune (Indiana), South Bend, Indiana, 07 May 1881, page 7. Hereinafter cited as South Bend Weekly Tribune (Indiana). Hartson Ellsworth Perkins was born on 12 April 1835 at Farmington, Franklin Co., Maine.1 He was the son of Timothy Foster Perkins and Thirza Cottle Ellsworth. Hartson Ellsworth Perkins married Violet P. Ellsworth on 20 March 1859 at Maine.1 Hartson Ellsworth Perkins died on 22 July 1897 at Red Wing, Goodhue Co., Minnesota, at age 62.2,1 He was buried on 26 July 1897 at Oakwood Cemetery, Red Wing, Goodhue Co., Minnesota. Hartson Ellsworth Perkins was a blacksmith, farmer, stockraiser. The cause of death was a wagon accident. Farm was in Section 9, Featherstone Twsp., Goodhue Co., MN. History of Dakota & Goodhue Counties, 1910, pg 706-708, Violetta Perkins made Boston, MA her home after husband's death. PERKINS, Hartson E., farmer, sec. 9, P.O. Red Wing. Born in Franklin county, Maine, April 12, 1835. Came to this county when 20 years old; landed in Red Wing Nov. 10, 1855; took claim of 160 acres, where he and his brother Charles, lived for two years, engaged at intervals working in the pineries on Apple River, Wis. The second winter he spent in banking wood on the Mississippi below Red Wing, an enterprise in which he lost every dollar he had. In 1867, he built the house where he now resides, having up to that time accumulated 480 acres of land, which he has since increased to 814, in this township, besides 800 acres in other localities. He has also an interest in several enterprises in Red Wing. Was married March 20, 1859, to Vilette P. Ellsworth. She was born in Franklin county, Maine, Oct. 10, 1842. Have five children, Marshall T., born Nov. 28, 1863; Alfred H., Oct. 26, 1868; Berton G., Sept. 9, 1870; Frank E., Sept. 4, 1874, and Elmer A., March 2, 1876. Family belong to the M.E. Church. The following obituary is from the Red Wing Daily Republican Newspaper, 22Jul1897, page 1, column 2. Hartson E. Perkins receives injuries which prove fatal. Hartson E. Perkins, for years a prominent resident of Red Wing, and one of the pioneers of Goodhue county, met with an accident yesterday afternoon wherein he received injuries which resulted in his death this morning. About 4 o'clock yesterday afternoon he, in company with his son, Frank, were hauling a load of corn with a four horse team. One of the horses was a young colt. When on Sand hill the colt became slightly unmanageable on account of not being able to hold the load back, so Mr. Perkins took ahold of him with the intention of helping him on. In some way he slipped and fell, the heavy load, weighing 5,300 pounds, passing over his right arm and part of his chest. He was removed to his home and medical aid summoned. He was unconscious and so weak that his internal injuries could not be ascertained, and at 10 o'clock this morning he expired. Hartson E. Perkins was born in Franklin county, Maine, on April 12, 1835, and was consequently in his sixty-second year. He came west when twenty years of age and settled in Goodhue county in 1861. He took a claim of 160 acres in Featherstone where he and his brother Charles lived for two years, engaged at intervals working in the pineries in Wisconsin. 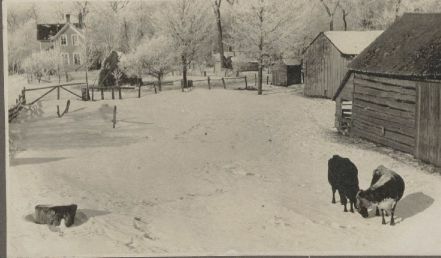 The second winter he spent in banking wood on the river below Red Wing, an enterprise in which he lost every dollar he had, but not daunted he vigorously prosecuted his farm work and in a comparatively few years was the owner of one of the largest and best farms in Featherstone. About twenty years ago (1877) he became interested in Red Wing business enterprises and a few years afterwards he removed to this city in order to be in position to more carefully look after his business interests. Ten years ago he purchased the Gov. Hubbard residence on West Fourth street which has since been his home. For many years he had been a prominent member of the M. E. church. 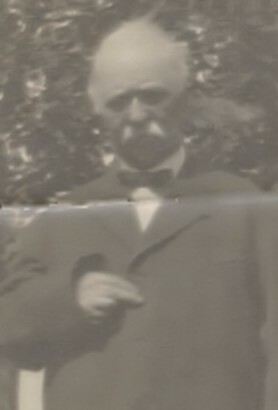 Mr. Perkins married in 1859, Vilette P. Ellsworth. She with six children survive him, the children being: Marshall T. Perkins and Alfred H., who reside in Featherstone; Dr. Barton G., whose home is in Texas; and Frank E., Elmer A., and Miss Mabel who reside here in Red Wing. Following from the Red Wing Daily Republican Newspaper, 5:3, 26Jul1897. The funeral services over the remains of Hartson E. Perkins were held this afternoon. Services were held at the house at 1:30 o'clock, and at the M.E. church at 2 o'clock. The church was filled with friends and acquaintances of the bereaved family. Rev. W.S. Cochrane, Rev. W.C. Rice and Rev. Chauncey Hobart officiated. 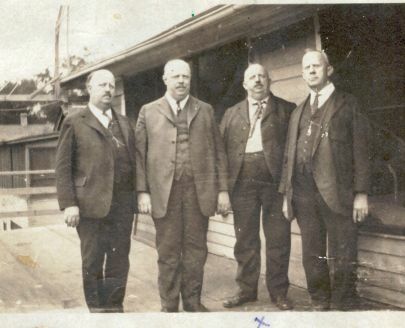 The pall bearers were: F. Busch, W. Robson, L.F. Hubbard, J.O. Dow, Robert Brown and Howard Libbey. Census 1870 Featherstone, Goodhue Co., Minnesota, pg 145, as 35 years. Census 1875 Featherstone, Goodhue Co., Minnesota, pg 287, as 40 years. Census 1885 Red Wing, Goodhue Co., Minnesota, sheet 122, as 50 years. Census 1895 Goodhue, Goodhue Co., Minnesota, sheet 632. [S31] Hartson Ellsworth Perkins entry, SOURCE: Death records, Goodhue Co , MN, Book 3, page 248, line 32, Goodhue County Courthouse, Red Wing, Goodhue Co., Minnesota. Violet P. Ellsworth was also known as Vilette.2 Violet P. Ellsworth was a Keeps House. Her married name was Perkins. CENSUS: 1860 ME, Franklin Co., Temple, listed as 17 years old. CENSUS: 1870 MN, Goodhue Co., Featherstone, pg 145, as 28 years. CENSUS: 1875 MN, Goodhue Co., Featherstone, pg 287, as 34 years. CENSUS: 1880 MN, Goodhue Co., Featherstone, pg 13, as 38 years. CENSUS: 1885 MN, Goodhue Co., Red Wing, sheet 122, as 45 years. CENSUS: 1895 MN, Goodhue Co., Red Wing 4th Ward, as 53 years. CENSUS: 1920 MN, Goodhue Co., Red Wing, E.D. 56, Sheet 20, Line 15. In 1920 Census, Violet is listed as living with her daughter Mabel, and being either 68 or 78 years of age. History of Dakota & Goodhue Counties, MN 1910, pg 706-708. 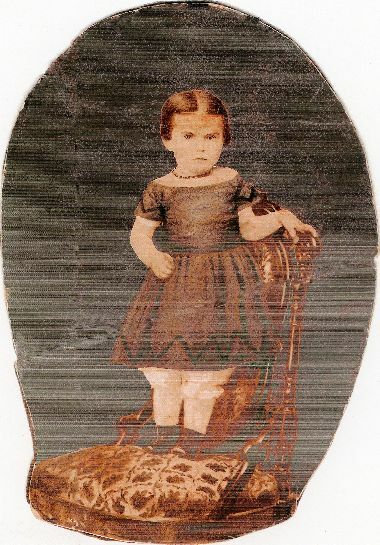 Violet in 1910, living in Boston, according to above reference. Following from The Red Wing Daily Republican Newspaper, page 2 column 6, 16Jul1934 (Monday). 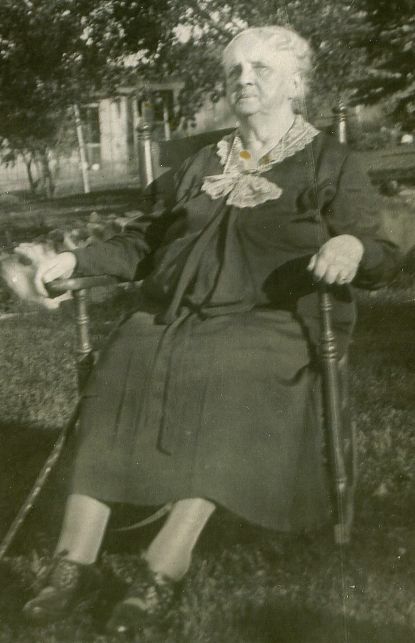 Mrs. Vilette Ellsworth Perkins, 92, beloved pioneer woman of this community and mother of M.T. Perkins of Red Wing, died at the home of her grandson, Richard Jones, in Minneapolis at 11 a.m. Sunday. Death was due to infirmities of old age. Mrs. Perkins had been confined to her bed for the past six weeks. Mrs. Perkins was born on Oct. 10, 1841, at Phillips, Me. 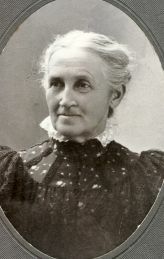 She came west in 1860 and settled on a farm in Featherstone township and resided there until about 40 years ago, when she removed to Red Wing, which remained here home until last March when she went to Minneapolis to live with her grandson. In 1859 she was united in marriage to Hartson E. Perkins, who died on July 19, 1899. Mrs. Perkins was a kindly Christian woman, who was highly respected by all who knew her. She possessed her faculties to an unusual degree for one of her age up to the time of her death. Surviving are three sons, Dr. B.T. Perkins and Dr. E.A. Perkins, Houston, Texas, 20 grandchildren, 28 great grandchildren and one great, great grandchild. The funeral will be held Tuesday afternoon at 2:30 o'clock at the Betcher Memorial chapel at Oakwood cemetery, Rev. Everett Hall, pastor of the First Methodist church, officiating. Burial will be at Oakwood cemetery. Census June 1900 Red Wing, Goodhue Co., Minnesota, "Vilette" Perkins listed as head of household, born in 1841 in Maine. Enumerated with son Elmer and daughter Mabel. [S32] Unknown article title, OBITUARY: Red Wing Daily Republican, 16Jul1934, 2:6, Red Wing, Minnesota, 16 Jul 1934, 2. Hereinafter cited as RWDR. David Willets Purdy was born on 16 January 1840 at Ithaca, Tompkins Co., New York.3 He was the son of Samuel Haskell Purdy and Jane H. Willets. David Willets Purdy married Frances Mary Rolfe, daughter of male Rolfe and Eliza Williams. David Willets Purdy died on 19 October 1900 at Red Wing, Goodhue Co., Minnesota, at age 60.3 He was buried on 21 October 1900 at Oakwood Cemetery, Red Wing, Goodhue Co., Minnesota; block A, lot number 169. David Willets Purdy was a farmer. The cause of death was too much liquor. At the time of mother's death in 1898, David lived in Burnside. History of Dakota & Goodhue Counties, 1910, pg 979-980. Following from the Red Wing Daily Republican newspaper on 20Oct1900, 5:2. 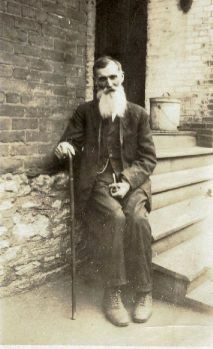 David Purdy who died at 2:30 o'clock yesterday afternoon, who born in Ithaca, N.Y., on Jan. 16, 1840. He came to Goodhue county in 1864, first settling in Goodhue township. He then moved to Burnside where he resided until years ago when he came to Red Wing. He is survived by a wife and four children, Mrs. M.T. Perkins, Mrs. A.H. Perkins, S.H. Purdy, Jr., and Wm. H. Purdy. He also leaves his father, S.H. Purdy, Sr. The funeral services will be held at the residence, 712 East avenue, tomorrow afternoon at 2:30 o'clock, Rev. C.C. Rollit officiating. The internment will be in Oakwood cemetery. [S34] Unknown article title, OBITUARY: Red Wing Daily Republican, 20Oct1900, 5:2, Red Wing, Minnesota, 20 Oct 1900, 5. Hereinafter cited as RWDR. [S35] David Willets Purdy entry, SOURCE: Goodhue Co , MN Death Records, Book 3, PAGE 276, LINE 9, Goodhue County Courthouse, Red Wing, Goodhue Co., Minnesota. [S33] Paul Bradley Purdy, A branch of the Purdy family descending from David and Eliza Ann Purdy with David's line from Francis Purdy of Fairfield 1595-1658, pg 9-15 (n.p. : n.pub., c1962). Hereinafter cited as The David Purdy Family. Her married name was Purdy. The cause of death was abdominal trouble. Listed as Frances M. Purdy in Death Record. Following from Red Wing Daily Republican newspaper 19May1905 (Friday), 5:3. Mrs. Mary Frances Purdy, wife of David Purdy, died this morning at the home of her daughter, Mrs. A.H. Perkins, on West Sixth street. Mrs. Purdy was born in Ithaca, N.Y., Jan. 7, 1841. She moved to Red Wing in 1863, with her husband, and has lived here ever since. She leaves three children, Mrs. A.H. Perkins and S.H. Purdy, living here, and W.H. Purdy, of Sebeka. She died after a lingering illness. Mrs. Purdy was a kindly Christian woman and will be missed by a large circle of friends. The funeral will be held at the move of Mrs. A.H. Perkins at 2 o'clock Sunday afternoon and at 2:30 at Christ Church. [S37] Frances Mary Rolfe entry, SOURCE: Goodhue Co , MN Death Records, Book 4, page 95, line 21, Goodhue County Courthouse, Red Wing, Goodhue Co., Minnesota. [S36] Unknown article title, OBITUARY: Red Wing Daily Republican, 19May1905 (Friday), 5:3, Red Wing, Minnesota, 19 May 1905, 5. John McCarthy was a laborer. 1875 MN Census listed value of real estate at $2000. The cause of death was consumption. Alice Morgan lists John's wife as Sara(h) Sheehy. John listed as a well-digger in his Death Record. Frank Trombley lists John born in Formay, Cork Co., Ireland; and that John's father had three brothers. Rice County Probate Record dated 28Jul1900 for John McCarthy, by Sara Bauer. Miss Sarah McCarthy died Saturday morning, May 2, at 9:30, and was buried Monday morning in Calvary cemetery. The funeral was held at 9 o'clock a.m. in the church of the Immaculate Conception, Father Cahil officiating. The pallbearers were Capt. McGinnis, John Liverseed, Peter Orth, B.J. Sheridan, Edward Sheridan and Thomas Sheridan. Sarah Sheehy was born in Broadford, County Limerick, Ireland, on April 4, 1883 [sic, should be 1833]. At the age of 19 she came to this country. She is survived by six sons and one daughter. Her daughter, Bridget, now Mrs. J.M. Tracy, resides at Taylor, N.D. Her sons are Charles, now in Mexico; John of Minneapolis; James of Wheatland, and Joseph and Jeremiah of Faribault. Census 1875 Faribault, Rice Co., Minnesota, listed as 60 yrs old. Census 1865 Faribault, Rice Co., Minnesota, as 45 yrs old. Census 1870 Faribault, Rice Co., Minnesota, pg 390, as 50 yrs old. [S39] John McCarthy entry, SOURCE: Rice Co , MN Death Record, Book A, pg 36,line 33, Rice County Courthouse, Faribault, Rice Co., Minnesota. 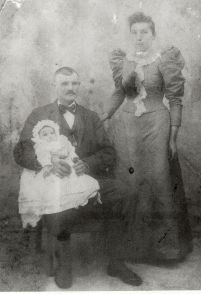 Saraphine Sheehy was born on 4 April 1833 at Cork Co., Ireland.3 She was the daughter of Thomas Sheehy and Saraphine Forest. Saraphine Sheehy married John McCarthy, son of Jeremiah McCarthy and Nellie Sullivan, in 1850 at Ireland; Sarah McCarthy and Christian Bauer were married by Catholic Priest.1 Saraphine Sheehy married Christian B. Bauer on 21 November 1880 at Faribault, Rice Co., Minnesota.4 Saraphine Sheehy married male Haberlin. Saraphine Sheehy died on 2 May 1914 at Faribault, Rice Co., Minnesota, at age 81.3 She was buried at Calvary Cemetery, Faribault, Rice Co., Minnesota. Saraphine Sheehy was also known as Sarah. CENSUS: 1865 MN, Rice Co., Faribault, listed as 30 years old. CENSUS: 1870 MN, Rice Co., Faribault, page 390, lists Sarah, age 35, born in New York. CENSUS: 1875 MN, Rice Co., Faribault, listed as 40 years old. CENSUS: 1895 MN, Rice Co., Faribault. Saraphine Sheehy was a Catholic. As of 21 November 1880,her married name was Bauer. Her married name was McCarthy. Her married name was Haberlin. The cause of death was Myocarditis, Cholera Morbus. OBITURARY: Faribault Republican, 06May1914. [S41] Saraphine Sheehy entry, SOURCE: Death Record, Rice Co , MN Book C, pg 190, line 107, Rice County Courthouse, Faribault, Rice Co., Minnesota. [S42] Saraphine (Sheehy) Bauer entry, Death Certificate for Sarah (SHEEHY) BAUER, states born 4Apr1833, unknown repository, unknown repository address. Hereinafter cited as death certificate. [S43] SOURCE: Marriage Record, Rice Co , MN, Book E, page 432, Rice County Courthouse, Faribault, Rice Co., Minnesota. 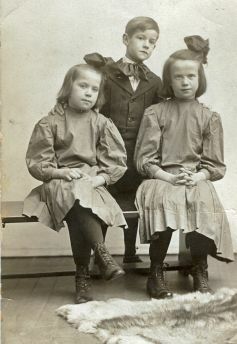 William McGinnis (Sr.), Annie McGinnie, and Mamie(?). Mamie was relative from New York. William McGinnis was born on 8 June 1831 at Ireland. He was the son of Peter McGinnis and female (?) 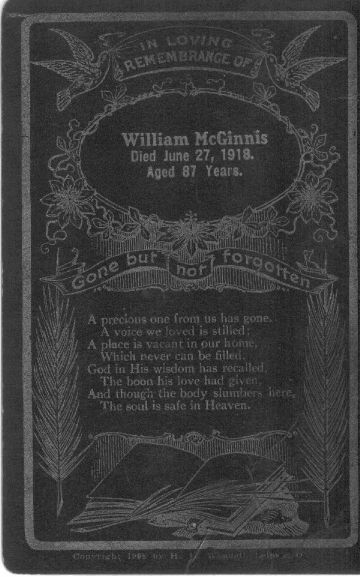 William McGinnis married Mary N. Smith on 10 June 1860 at Immaculate Conception Catholic Church, Faribault, Rice Co., Minnesota.1 William McGinnis died on 27 June 1918 at Faribault, Rice Co., Minnesota, at age 87.2 He was buried on 29 June 1918 at Calvary Cemetery, Faribault, Rice Co., Minnesota. William McGinnis was a farmer, saloon-keeper. SOURCE: Helen McCarthy (Wm was Captain in Army). History of Rice County, published in 1882, by Charles S. Bryant, provides a list of old settlers into Rice County, by the Old Settlers Association. William McGinnis is recorded as having come to Rice County from Ireland, in June of 1856. SOURCE: In a Warranty Deed dated 26 Nov 1858, Faribault-MN, William McGinnis purchased Lot 1 in block 5 in Daniel Faribault's addition for $50. Following is an obituary from The Faribault Pilot newspaper on 04Jul1918 Thursday, page 1, column 5. William McGinnis, a pioneer and highly respected citizen of Faribault, died at home on North Central avenue, Thursday afternoon, June 27. Death came after a lingering illness of several week's duration. Deceased was 87 years of age and was born in Ireland. He came to Minnesota in 1856, locating in Waseca county on a farm, later coming to Faribault. He was married in 1860 to Miss Mary Smith of Faribault, who died several years ago. In 1862 he engaged in business in Faribault, which he conducted continuously for many years before retiring from active business. Mr. McGinnis was a kind-hearted, upright man, strictly honest in all his dealings. To have him for a friend was to know he as true friend. He was honored and respected by a large circle of friends, who sincerely mourn his death. He is survived by two sons, Frank and William, of Minneapolis, and two daughters, Mrs. Mary McCarthy and Miss Anna McGinnis, of this city. The funeral took place Saturday morning at 10 o'clock, from the Immaculate Conception church in this city. Monsignor J.J. Slevin celebrated a requiem mass and delivered a eulogy in which he paid a high tribute of respect to the life and character of the deceased. The Ancient Order of Hibernians, of which the deceased was an honory (sic) member, attended the funeral. Interment was in Calvary Cemetery. The pallbearers were T.J. McCarthy, John Anderson, Richard Murphy, Joseph Coughlin, D.T. Cruikshank and Garrett Moore. Following is an obituary from The Faribault Weekly Journal on 3Jul1918 Wednesday, page 4, column 4. William McGinnis, a pioneer resident of Faribault, died at his home on Central avenue on Thursday morning, at the age of 87 years. Mr. McGinnis had lived in Faribault for the past sixty years and was well known here. He was one of the early city fireman. Funeral services were held Saturday morning from the Church of the Immaculate Conception and burial was in Calvary cemetery, Monsignor Slevin officiating. Rice County Death Record for William McGinnis, listed his occupation as "Rtd mch" and the cause of death being Pyelonephritis(?). Census 1870 Faribault, Rice Co., Minnesota, pg 375 and pg 341, 37 years old, William listed as Saloon Keeper, real estate of $1400. Census 1875 Shieldsville Twsp., Rice Co., Minnesota, pg 99, 35 yrs old. Census 1875 Faribault, Rice Co., Minnesota, pg 131, 35 yrs old. 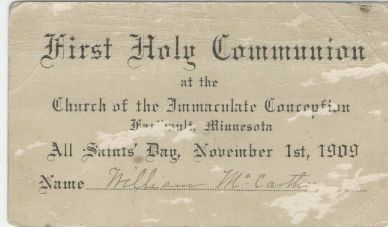 [S45] Mary N. Smith marriage, in Marriage Record for Mary N. Smith, unknown manuscript info, Immaculate Conception Catholic Church, Faribault, MN, Immaculate Conception Catholic Church, Faribault, Rice Co., Minnesota. Hereinafter cited as Marriage Record for Mary N. Smith. [S44] William McGinnis entry, SOURCE: Death Records, Rice Co , MN, Book C, pg 313, line 21, Rice County Courthouse, Faribault, Rice Co., Minnesota. 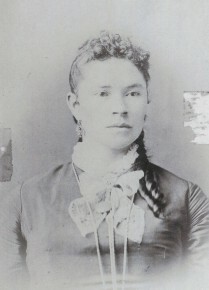 Mary N. Smith was born circa 1842 at Faribault, Minnesota or Ireland. She married William McGinnis, son of Peter McGinnis and female (? ), on 10 June 1860 at Immaculate Conception Catholic Church, Faribault, Rice Co., Minnesota.1 Mary N. Smith died on 27 April 1888 at Faribault, Rice Co., Minnesota.2 She was buried on 29 April 1888 at Catholic Cemetery, Faribault, Rice Co., Minnesota. Her married name was McGinnis. The cause of death was Pneumonia. Death Record lists Mary as being 46 years of age, born in Ireland. Obituary notice. William McGinnis obituary, says wife born in Faribault, MN. The 1875 Census states Mary born in Ireland. CENSUS: 1875 MN, Rice Co., Shieldsville twp., page 99, age 30. Wm McGinnis & family enumerated twice in 1875 Census. CENSUS: 1885 MN, Rice Co., Faribault. Census 1870 Faribault, Rice Co., Minnesota, page 375, age 25. Census 1875 Faribault, Rice Co., Minnesota, pg 131, 30 years old. [S46] Mary N. Smith entry, SOURCE: Death records, Rice Co , MN, Book A, page 107, line 25, Rice County Courthouse, Faribault, Rice Co., Minnesota. Frank Sklenar was born on 18 May 1828 at Bohemia. He married Katherine Hovet, daughter of Mike Chovitek and female (?). Frank Sklenar died on 24 May 1904 at Montgomery Twsp., Le Sueur Co., Minnesota, at age 76; OBITUARY: Montgomery Messenger Newspaper, 27May1904. He was buried at Cemetery SW of Montgomery, Le Sueur Co., Minnesota. The New York City Immigration Passenger Lists, show that on 28 Apr 1877, the vessel Mosel on it's voyage from Bremen, Germany, with the following Sklenar family from Bohemia as passengers: Franz 49 years, Catharine 43 years, Tomas 17 years, Franz 14 years, Johann 9 years and Catharine 3 years. Franz was listed as a workman. Franz Sklenar was listed as passenger number 262 in the passenger list. The Mosel had 436 persons on board. The Mosel was 3,125 gross tons, length 349 ft x beam 40.3 ft, one funnel, two masts (rigged for sail), iron hull, single screw, speed 12 knots, accommodation for 90-1st class passengers, 126-2nd class passengers and 680-3rd class passengers. Built by Caird & Co, Greenock, she was launched on 20th Aug.1872 for North German Lloyd, Bremen. Her maiden voyage started on 4th Jan.1873 when she left Bremen for Southampton and New York and on 11th Dec.1875 she was badly damaged in a bomb explosion in Bremen with the loss of 128 lives. Following are other SKLENAR's in NYC passenger lists, possible relations? SKLENAR, Elisabeth 22 (b- abt 1845), Bohemia; vessel Johanna on 18May1867. SKLENAR, Jos. 24 (b- abt 1840), Bohemia, vessel America on 18Jul1864. SKLENARZ, Adalbert 28 (b- abt 1840), Bohemia; vessel Freihandel on 05Nov1868. SKLEVARIL, Anna 58 (b- abt 1820), Bohemia; vessel Rhein on 29Nov1878. SKELENAR, Anna 57 (b- abt 1820), Bohemia; vessel Oder on 28Jul1877. 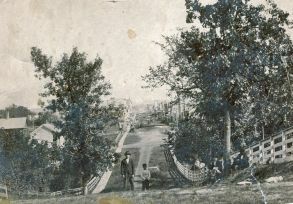 Frank Sklenar, aged 77 years, one of the pioneer settlers of Montgomery township died at the home of his son, John T., near this city on May 24, 1904. He came to this country from Bohemia about 27 years ago and settled on a farm. Some years ago he retired and with his wife went to live in Tacoma, Washington, from which place he returned but a short time before his death. Is survived by his wife, 3 sons and 2 daughters, all whom but 2 sons reside in Washington. Internment was in cemetery S.W. of this city. Census 12 May 1885 Montgomery, Le Sueur Co., Minnesota, pg 410, as 60 years old. Source Citation: Year: 1877; Arrival: New York, New York; Microfilm Serial: M237; Microfilm Roll: 408; Line: 27; List Number: 328. Ancestry.com. New York, Passenger Lists, 1820-1957 (database on-line). Provo, UT, USA: Ancestry.com Operations, Inc., 2010. Passenger Lists of Vessels Arriving at New York, New York, 1820-1897. Microfilm Publication M237, 675 rolls. Records of the U.S. Customs Service, Record Group 36. National Archives at Washington, D.C. Passenger and Crew Lists of Vessels Arriving at New York, New York, 1897-1957. Microfilm Publication T715, 8892 rolls. Records of the Immigration and Naturalization Service; National Archives at Washington, D.C. Supplemental Manifests of Alien Passengers and Crew Members Who Arrived on Vessels at New York, New York, Who Were Inspected for Admission, and Related Index, compiled 1887-1952. Microfilm Publication A3461, 21 rolls. ARC ID: RG 85, Records of the Immigration and Naturalization Service, 1787-2004; Records of the Immigration and Naturalization Service; National Archives, Washington, D.C.
Index to Alien Crewmen Who Were Discharged or Who Deserted at New York, New York, May 1917-Nov. 1957. Microfilm Publication A3417. ARC ID: National Archives at Washington, D.C. Passenger Lists, 1962-1972, and Crew Lists, 1943-1972, of Vessels Arriving at Oswego, New York. Microfilm Publication A3426. ARC ID: National Archives at Washington, D.C.; in Year: 1877; Arrival: New York, New York; Microfilm Serial: M237; Microfilm Roll: 408; Line: 27; List Number: 328 (n/a: Ancestry.com). Katherine Hovet was born circa 5 November 1833 at Bohemia. She was the daughter of Mike Chovitek and female (?) 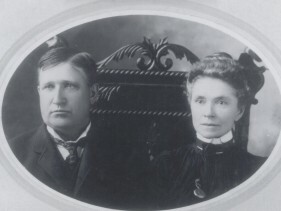 Katherine Hovet married Frank Sklenar. Katherine Hovet died on 19 April 1916 at Tacoma, Pierce Co., Washington.1 She was buried on 22 April 1916 at Calvary Cemetery, Tacoma, Pierce Co., Washington; Death Certificate of Katherine Sklenar, says born in 1833. The following from the 21 April 1916 issue of The Tacoma Daily Ledger newspaper. Mrs. Katherine Sklenar, age 82, died Wednesday night at her home, 4716 North 45th Street. She was a widow and lived in Tacoma for 13 years. She leaves two daughters, Mrs. A.C. Houser of Eatonville and Mrs. Mary Hovel of Tacoma; two sons, Frank of Tacoma and John of Eatonville; also 19 grandchildren. The funeral will be held probably Monday. The cause of death was Heart Disease. Census 1885 Montgomery, Le Sueur Co., Minnesota, listed as 50 years old. [S47] Unknown article title, OBITUARY: The Tacoma Daily Ledger, 21Apr1916, Tacoma, Washington, 21 Apr 1916. Jacob and Barbara Nestaval Family. Back row left to right: John, Kath, Anna. Front row left to right: Jacob (father), Steve, Mary, Barbara (mother). Jacob Nestaval was born on 20 July 1840 at Budejovice, Bohemia.1 He was the son of Jacob Nestaval and Mary Mencik. Jacob Nestaval married Barbara Kardon, daughter of John Kardon and Maria Vach, between 1864 and 1866 at Bohemia. Jacob Nestaval died on 9 September 1924 at Montgomery, Le Sueur Co., Minnesota, at age 84.2 He was buried at Calvary Cemetery, Montgomery, Le Sueur Co., Minnesota. Jacob Nestaval was a Farmer. The cause of death was Stomach Hemorrhages. Following from The Montgomery Messenger newspaper, 19 Sep 1924. The funeral of Jacob Nestaval of whose death mention was made in our issue of last week was held from the church of the Holy Redeemer in this city at 10 am last Thursday morning. Rev. Emil Polasek conducted the services and entoned a high mass of requiem. Interment was in the family lot in Calvary Cemetery. The pall- bearers were: Joseph W. Vach, Edward Sklenar, Edward and George Nestaval, Edward Vrzal and Raymond Dvorak. The members of the C.S.D.P.J. and AOUW lodges attended the funeral. The deceased was born in Budejovice, Bohemia on July 20, 1840, and was therefore 84 years 1 month and 19 days of age at time of his death. 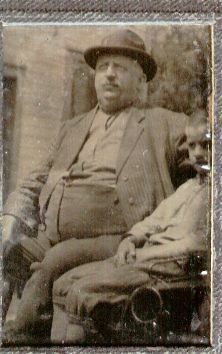 He grew to manhood in his native land and in the year 1864 was united in marriage to Barbara Kadoun. The year following they immigrated to America and settled in Lanesburg township, this county. In 1868 they purchased a farm east of this city where he made his home ever since. In April 1912 his wife was called by death, following which he continued to reside on his son's farm. Several months ago his son was successful in having him leave the farm and he came to town to reside with his family. A few months ago he was taken seriously ill but gradually he regained strength and was enjoying the very best of health until a week before his death, when he suffered hemorrhages of the stomach, which coupled with his advanced age caused his death at 10:30 Tuesday morning, September 9. Mr. Nestaval was one of the highly respected citizens of this community where he lived for over half of a century. During this long period he took an active part in community affairs and held many positions of trust. He served on the town board for a period of 20-years. In educational matters he was painstaking and a trustee in his school district for over 32 years. He had a fine moral character and sturdy constitution, he continued to be active in his accustomed pursuits till long past the age at which men ordinarily drop out of the ranks of the workers. To this end, there is no doubt that his sunshiny disposition largely contributed. Was practical, matter-of-fact man, but had his own peculiar way of extracting merriment from life as it went along. This cheerful spirit remained with him to the last, and he remained his clearness of intellect up to the closing days. He was survived by 1 daughter, Mrs. John Vrzal, of this city, 2 sons, John J. Nestaval, of this city, and Stephen Nestaval of St. Paul, and 1 brother Joseph Nestaval of Minneapolis. Two daughters Mrs. Catherine Vach and Mrs. Anna Sklenar and one son preceded him to the grave. 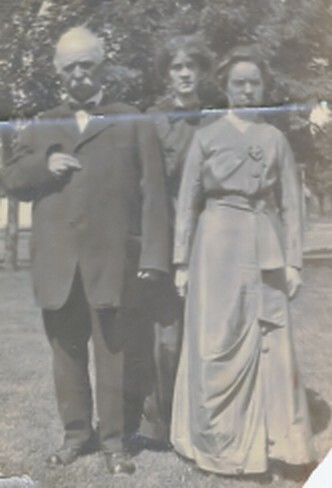 The following were from a distance: Mr. and Mrs. Stephen Nestaval and Edward Sklenar of St. Paul, Mr. and Mrs. Joseph Nestaval of Minneapolis, Mr. and Mrs. F.M. Kaisersatt and Mrs. A.E. Kummet, of Faribault and Mrs. Thos. Skluzacek of Lonsdale. In the 1920 Minnesota Census, LeSueur County, Montgomery township, E.D. 76, sheet 2, it states that Jacob Nestaval immigrated to the US in 1867 and became a naturalized citizen in 1871. The Census also listed Jacob as being unable to speak English. Jacob was listed as head of the household, that included son Stephen, granddaughter Rose Sklenar, and a 21 year old Albert Jindra. 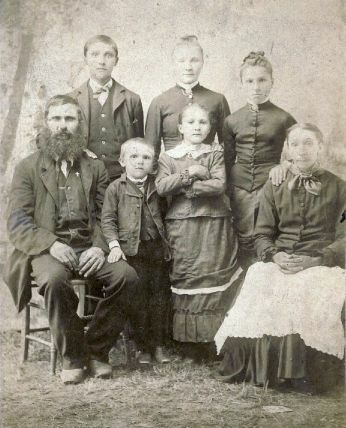 In the 1875 Minnesota Census, LeSueur Co., Montgomery, enumerated on 14May1875, page 496, there is a Jacob Nestaval, age 37, Eva age 30, Jake age 6, Joseph age 4, John age 2, Joseph age 21 born Bohemia, and Annie age 24 born Bohemia. Not sure if and how this family is related??? Father: Jakub, cottager, son of Matej Nestaval, cottager from Horni Bukovsko No. 9, and Anna, born Kaderabkova, field master from Horny (Horni Bukovsko) No. 18. Mother: Marie, daughter of Jakub Mencik, cottager from Bukovsko, and Marianna, born Chinova, daughter of a farmer from Sedlikovice. Register of births of the Roman-Catholic parsonage in Zalsi, Volume 13, years 1823 - 1865. Census 1885 Montgomery, Le Sueur Co., Minnesota, listed as 43 years old. 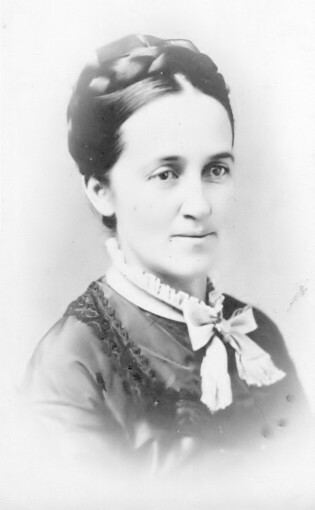 [S48] Unknown household, census, 35 North West Temple St., Salt Lake City, Salt Lake Co., Utah, Family History Library:.